Life as a single parent is hard enough without having to worry about the place we call home. If you are renting privately, have you ever had a rogue landlord? Been disgusted at the state of the property you are renting? Struggled to get your deposit back? Felt harassed and intimidated by the letting agents? These are all very challenging yet real issues. It's easy to feel as if we have no-one to turn to and nowhere to have our voices heard and that's not ideal, especially when it involves something so critical as the homes we're raising our children in. With the lack of decent affordable housing, now, more than ever, we need a place to share our stories. 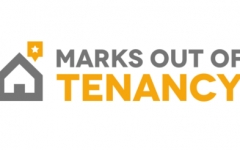 Check out this new website called Marks Out Of Tenancy, it helps tenants by letting them share their stories. You rate the landlord, letting agent, the property you've rented and the neighbourhood you've lived in. So before you rent your next place, use it for your research and while you're at it, leave a review for the place you're leaving! At SingleParents, we give Marks Out Of Tenancy - 10 out of 10!